Ranked as one of the world's top 100 new universities in the respected ‘Times Higher Education Rankings 2017’, Portsmouth University has rapidly ascended the UK academic rankings. This is a credit to a £150m+ investment over the last ten years in buildings and resources. 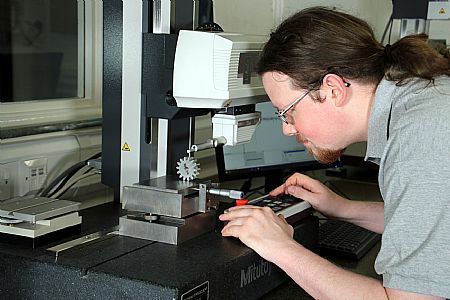 Part of this strategy has seen the Hampshire institution procure the very latest metrology equipment from Mitutoyo for its School of Engineering. The University has more than 25,000 students and 2,500 staff. The prestigious engineering department educates more than 500 students every year with manufacturing and industrial degrees, masters’ degrees and PhD courses. 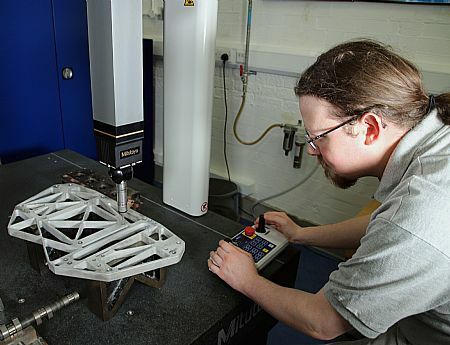 To ensure students receive the finest blend of academic education and practical experience, part of the £150m university investment has included two Hurco CNC machine tools, a suite of Stratsys and HK3D 3D printing technology and of course the newly equipped metrology department. With extremely diverse metrology requirements, the procured equipment had to cover virtually all facets of dimensional verification. 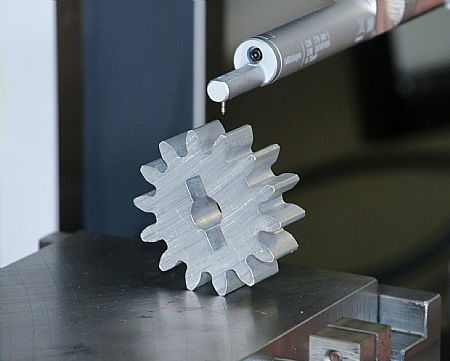 At a fundamental level, the content of some degree modules incorporates basic metrology and the measuring of surfaces, hole concentricity, and reference points. At a more advanced level for final year, post-graduate and Ph.D. students, academics require a solution that supports the reverse engineering of components, assemblies and the verification of completely new technology concepts. Some projects include the design and construction of the Formula Student Sports Car. 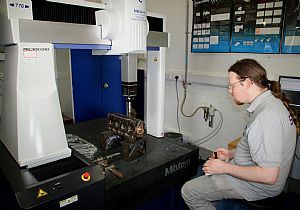 To cater to the diverse demands, Portsmouth University specified the Mitutoyo Crysta-Apex S776 Co-ordinate Measuring Machine (CMM), a Roundtest RA-1600, a Formtracer SV-C3200 and a QuickVision Apex non-contact measuring system. “This software can conduct surface roughness analysis that conforms to standards such as ISO, JIS and ANSI. This validates data collected and gives it greater relevance to industry, enhancing employment prospects of researchers. Furthermore, the FORMTRACEPAK has graphic analysis functions that work in conjunction with the Mitutoyo MiCAT (Mitutoyo Intelligent Computer Aided Technology) system to generate graphics and statistics from measurements on a single page report. This information reporting is a revelation for our researchers, especially when compared to our old equipment,” continues Mr Keeble. With brittle projects such as glass that are measured in the realm of nanometres, the university can rely on the QuickVision Apex. The QuickVision has a non-contact displacement sensor that uses the epaxial chromatic aberration of the white light source to measure very small steps and curved planes at high speed. Using its white light interferometer, the QuickVision performs highly accurate 3D measurements in microscopic areas for surface analysis, small-diameter hole depth as well as space measurements on circuit boards. Combining these features with the CCD camera that magnifies images, Portsmouth University can easily measure features and values previously beyond the remit of the equipment that was replaced. The ROUNDPAK software supports roundness, flatness and parallelism and it includes an offline teaching function that enables virtual execution of measurement operations in a 3D simulation window. By storing and indexing this data, libraries of sequences can be compiled and custom reports with 3D graphics can be generated.